1. What is BOD ? The Biochemical Oxygen Demand (BOD) is a measure of the oxygen required by aerobic micro-organisms to biochemically oxidize the organic matter present in the waste and is expressed in mg/1. 2. What is National Green Tribunal Act, 2010? National Green Tribunal (NGT) Act, 2010 is an Act of the Parliament of India which enables creation of a special tribunal to handle the expeditious disposal of the cases pertaining to environmental issues. 3. What is Wildlife Protection Act, 1972? The Wildlife Protection Act, 1972 is an Act of the Parliament of India enacted for protection of plants and animal species. 4. What is Environmental Protection Charge (EPC) & who has to pay EPC? Hon’ble Supreme Court of India in the matter of 13029 of 1985, M.C. Mehta Vs UOI issued directions and imposed 1% Environmental Protection Charge (EPC) on diesel vehicles with engine capacity of 2000 cc and above which will be registered in Delhi-NCR as given in Hon’ble Supreme Court Order dated 12 Aug 2016. And as per the directions of the Hon’ble Supreme Court, the dealer/ manufacturer of the vehicle has to be pay 1% EPC on the Ex-showroom price of new diesel vehicles with engine capacity of 2000cc and above, which is to be registered only in Delhi and NCR. Purchaser of the vehicle also has an option to pay EPC directly. 5. Whether CPCB certified any systems or analysers? No, CPCB neither certifies nor assessed any sensors/ analysers. Industrial units are free to choose any type/ make of analysers including the indigenous equipment, meeting the prerequisites. The unit should give calibration protocol, periodicity/ frequency of calibration and ± variation specified when matched with manually monitored results. PUC (Pollution Under Control) is a Certification Mark issued to certify that motor vehicles in India meet emission and pollution control norms. 7. When does a vehicle require a PUC Certificate? After the expiry of period of one year from the date of first registration, every motor vehicle is required to carry a valid PUC Certificate & subsequently after every six months. 8. Where should I get my vehicle pollution level checked? Computerized facilities for checking of pollution levels and issue of PUC Certificates (to vehicles meeting emission standards) are available at many petrol pumps/workshops. 9. What is Pollution Prevention? Pollution Prevention (P2), also known as "source reduction," is any practice which reduces, eliminates, or prevents pollution at its source. Recycling is the process of collecting, separating, processing, and selling recyclable materials so they can be turned into new products. Eutrophication is the process of the excessive increase in nutrients, such as phosphate and nitrate, in water due to the direct depositing of non-treated sewage. 12. What are the main chemical compounds that destroy the ozone layer? The main chemical compounds that destroy the ozone layer are Chlorofluorocarbons or freons substances previously used in refrigerators, air conditioners and spray cans. 13. What is global warming? Global warming is the increase in the temperature of the planet due to the accumulation of certain gases in the atmosphere, especially gases that retain the solar energy reflected by the planet's surface. The main gas that causes global warming is carbon dioxide, CO₂, although other gases also act as “warming gases”, such as methane, CH₄, and nitrous oxide, N2O. 14. What are the criteria to identify an industry under grossly polluting industry (GPI) category? GPIs were identified as Industries discharging effluents into a water course and a) handling hazardous substances, or b) effluent having BOD load of 100 Kg per day or more, or c) a combination of (a) and (b). Air quality index (AQI) is a numerical scale used for reporting day to day air quality with regard to human health and the environment. CPCB launched AQI for effective communication of air quality status to people in terms, which are easy to understand, transforms complex air quality data of various pollutants into a single number (index value), nomenclature and colour. There are six AQI categories, namely Good, Satisfactory, Moderately polluted, Poor, Very Poor, and Severe. A Comprehensive Environmental Pollution Index (CEPI), which is a rational number to characterize the environmental quality at a given location following the algorithm of source, pathway and receptor have been developed. The index captures the various health dimensions of environment including air, water and land. Out of identiﬁed 88 prominent industrial clusters, 43 industrial clusters in 16 States having CEPI score of 70 and above were identiﬁed as Critically Polluted Industrial Clusters, while industrial clusters with CEPI scores between 60 & 70 are categorized as severely polluted areas. CPA Stands for Critically Polluted Areas. It means the areas where the pollution level is more than 70 %. National Air Quality Monitoring Programme (NAMP) is a nation-wide programme for monitoring of ambient air quality. CPCB has established a NAMP which presently comprises of 614monitoring stations covering257 cities in 29 states & 5 UTs. Under NAMP three major pollutants viz. PM10 (Particulate Matter having an aerodynamic diameter less than or equal to 10 µm), Sulphur dioxide (SO2) and Nitrogen dioxide (NO2) have been identiﬁed for regular monitoring at all locations. National water Quality Monitoring Programme (NWMP) is a nation-wide programme for monitoring of water quality. CPCB in collaboration with concerned SPCBs/PCCs established a nationwide network of water quality monitoring comprising 2500 stations in 28 States and 6 Union Territories. A Common Bio-medical Waste Treatment Facility (CBWTF) is a set up where biomedical waste, generated from member health care facilities is imparted necessary treatment to reduce adverse effects that this waste may pose on human health and environment. The treated waste may finally be sent for disposal in a landfill or for recycling purposes. 21. What are the criteria for identification of polluted river stretch? The river stretches not meeting the prescribed criteria are designated as polluted river stretches. As the level of BOD varies widely in river stretches the same polluted stretches are prioritized in ﬁve categories i.e. Priority Class I to Priority Class V based on BOD load. BOD>30 mg/l, BOD between 20&30 mg/l, BOD between 10&20mg/l, BOD between 6-10 mg/l and BOD between 3 & 6 mg/l. 22. What are the important Environmental Laws in the country? 23. What are the different programes/activities implemented through State Pollution Control Board? 24. How many Regional Directorates CPCB has? 25. What are sources of water pollution and wastewater generation scenario? It is estimated that 75% to 80% of water pollution by volume is caused by domestic sewage. The major industries causing water pollution include: distilleries, sugar, textile, electroplating, pesticides, pharmaceuticals, pulp & paper mills, tanneries, dyes and dye intermediates, petro-chemicals, steel plants etc. Non-point sources such as fertilizer and pesticide run-offs in rural areas also cause pollution. Only 60% of chemical fertilizers are utilized in soils and the balance is leached into soil polluting the ground water. Excess phosphate run-off leads to eutrophication in lakes and water bodies. Concept of Zero liquid discharge is being implemented and practised by major water polluting industries like Distillery. 26. How many critically polluted areas have been identified? 27. What are the measures for control of noise pollution? Ambient standards in respect of noise for different categories of areas (residential, commercial, industrial) and silence zones have been notified under the Environment (Protection) Act, 1986. Noise limits have been prescribed for automobiles, domestic appliances and construction equipment at the manufacturing stage. Standards have been evolved and notified for the gen sets, fire crackers and coal mines. Regulatory agencies have been directed to enforce the standards for control and regulate noise pollution. 28. What is the impact of the steps to Ambient Air Quality? Impacts of the steps taken in Delhi: All regulatory pollutants show a decreasing trend in concentrations in Delhi. CO decreased to 3069 ug/m3 in 2000-2001 from 5450 ug/m3 in 1998. NO2 decreased from 75 ug/m3 in 1996 to 59 ug/m3 in 2000. Lead which is harmful especially for children, decreased remarkably due to phasing out of lead from gasoline. Another critical pollutant PM10also shows a decreasing trend in Delhi. 29. What steps have been taken to control noise pollution due to loud-speakers? A loud speaker or a public address system shall not be used except after obtaining written permission from the authority. A loud speaker or a public address system shall not be used at night (between 10.00 p.m. to 6.00 p.m.) except in closed premises for communication within e.g. auditoria, conference rooms, community halls and banquet halls. 30. 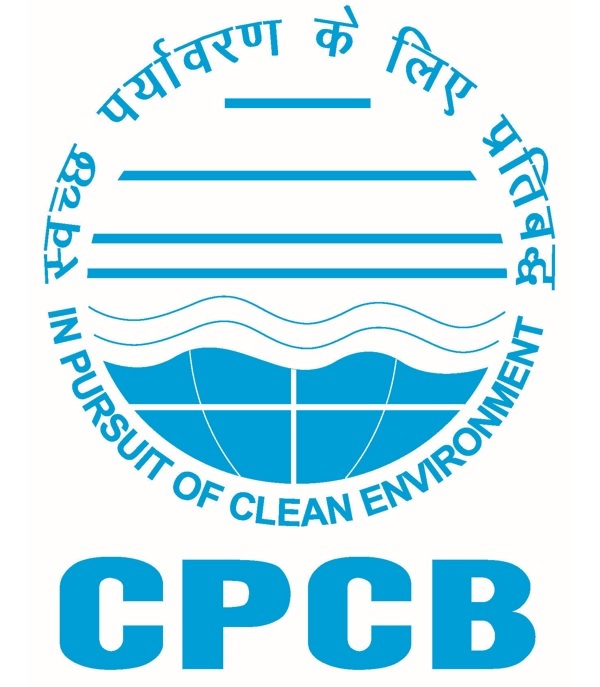 What are the specific functions of the CPCB & State Pollution Control Boards? Collect, compile and publish technical and statistical data, prepare manuals and code of conduct. To plan nation wide programme for pollution control. 31. What are the 17 Categories of the major polluting industries? 32. What are the incentives to the industries for pollution control ? Biomethanation of the effluents in distilleries. 33. What are the names of the State Pollution Control Boards/ Committees covered under the projects for strengthening ? Andhra Pradesh, Assam, Bihar, Delhi, Goa, Gujarat, Himachal Pradesh, Jammu & Kashmir, Karnataka, Kerala, Maharahstra, Madhya Pradesh, Manipur, Meghalaya, Orissa, Pondicherry, Punjab, Rajasthan, Tamil Nadu, Tripura, Uttar Pradesh and West Bengal. 34. Is there any legal and institutional framework to check pollution in the country? Yes, India has prepared pollution abatement strategy which include the legal framework and the Environment Authorities. Loss of Ecology (Prevention and Payment of Compensation) Authority for State of Tamil Nadu. 35. What are the steps taken to control vehicular pollution? Notification of Ambient Air Quality Standards under Environment (Protection) Act. Improving fuel quality by phasing out lead from gasoline, reducing diesel sulphur, reducing gasoline benzene, and etc. Introduction of alternate fuelled vehicles like CNG/LPG. Improvement of public transport system. Phasing out of grossly polluting commercial vehicles. 36. What steps have been taken to control noise pollution due to fire crackers? The Govt. of India has enacted noise standards for fire-crackers vide G.S.R.682(E), dated 5th October, 1999, in an effort to control noise pollution due to fire crackers Recently in March 2001, Central Pollution Control Board in association with National Physical Laboratory (NPL), Delhi initiated a study on measurement of noise levels of fire-crackers available in the market. The study indicates that 95% of the fire-crackers samples exceed the prescribed noise limits. Consequently, CPCB issued notice under Section 5, of the Environment (Protection) Act, 1986 to the Department of Explosives, Nagpur, to take immediate steps to control manufacturing of fire-crackers exceeding the prescribed limits. All the State Pollution Control Boards/Committees were also requested to initiate steps to control sale of fire-crackers exceeding the notified limits, in consultation with their respective local administrations. 37. What steps have been taken to control noise pollution from generator sets? The Central Pollution Control Board, in association with the Indian Institute of Science, Bangalore, had developed systems for control of noise pollution from diesel generator sets as well as from petrol/kerosene generator sets. Based on this, the noise standards for diesel and petrol/kerosene generator sets have been developed and notified. 38. What are the laws enforced by of the Pollution Control Boards ? Water (Prevention & Control of Pollution) Cess Act, 1977. Hazardous Waste (Management & Handling) Rules1989. Municipal Solid Waste (Management & Handling) Rules, 2000. 39. What are the industrial pollution programmes existing which are based on the concept of sustainable development? Change over to clean technologies for example mercury cell to membrane cells in chloralkali plants. 40. What are the projects taken up for strengthening of Pollution Control Boards with World Bank assistance. With the assistance of the World Bank, following three environmental projects have been undertaken to strengthen monitoring and enforcement capability of selected Pollution Control Boards/ Committees and to perform specific studies to prevent environmental degradation. 41. Whether CPCB, SPCBs and PCCs are getting adequate financial support from State Governments and what is the financial status? The Central Pollution Control Board is fully funded by the Central Ministry of Environment & Forests. The State Pollution Control Boards receive funds from the concerned State Governments and from the Central Ministry of Environment & Forests through reimbursement of Water Cess (upto 80%) collected by the respective State Boards. In addition, the State Boards receive fees for processing for applications from the industries for issuing consent in regard to discharge of effluent and emissions. SPCBs are getting only marginal/ nominal financial assistance from State Governments. In some of the State Pollution Control Boards, State Governments are not providing budgetary grants. State Pollution Control Boards are dependent on consent and authorization fee and cess reimbursements which they get out of cess collections. 42. What are the programmes taken up for Industrial Pollution Control ? Industrial Pollution Control along the river Ganga. 43. Whether State Pollution Control Boards/ Pollution Control Committees have rules/ procedures for implementation of pollution control rules. State Pollution Control Boards have framed rules as per approval of State Governments. More or less, procedure and rules followed by State Pollution Control Boards are similar.